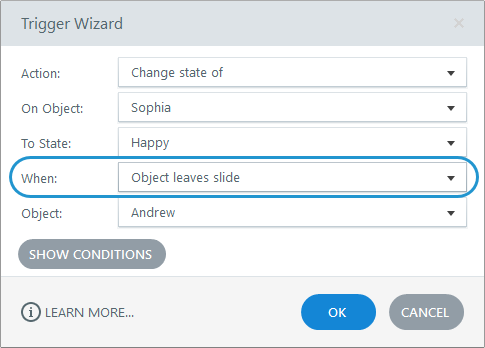 In Storyline 360 and Storyline 3, you can trigger actions to occur when an object leaves the slide. For example, you might change the expression of a character when another character moves along a motion path and moves off the slide. Just set your trigger to occur when Object leaves slide.